Whenever your GS behaves well, you offer it a delicious treat. However, there is a lot to think about before giving too many treats to your dog. Many people like to give treats to their dogs to reward them for good behavior. This reward system usually peaks during a German Shepherd’s training as a puppy. Is Every Treat Healthy for a GS? The market and stores are packed with amazing dog food and treats. However, feeding your GS treats that say high-quality doesn’t necessarily mean that it is going to be healthy. There are certain foods and chemicals added in dog treats that could make your dog fall ill. So, how do you decide whether a treat is good for your GS or not? German Shepherds are carnivores and have trouble digesting most of the fruits and vegetables. However, there are certain fruits and veggies that a GS could eat as treats. During the training process of GS, the owner needs to feed it yummy treats so that it learns quickly. It is not always feasible to buy pre-made treats from the store; that’s why every GS owner needs a quick and easy treat fix for their dog that is healthy as well. The fruits and vegetables that could be fed to a GS as a treat are given below. Make sure that you feed fruit and vegetable treats in a limited quantity. Moreover, these vegetables mentioned above should be cooked before feeding it the dog. The list of fruits and vegetables that your GS can eat are very limited. There are many fruits and veggies that can be harmful to your dog and can cause various illnesses. 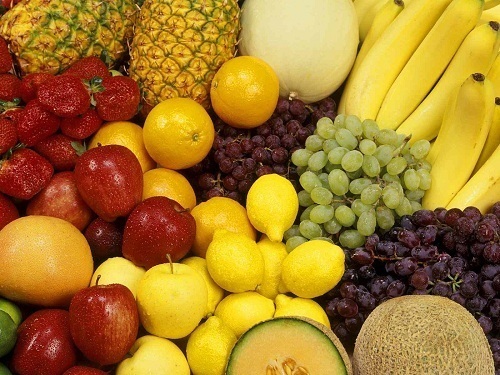 Below is a list of fruits and vegetables that your GS cannot eat. Why Should You Offer Treats to Your GS? Giving a treat to your GS means giving it a reward. This reward is usually given in a form of fruits and vegetables that are healthy for a dog. When you offer treats to your dog when it displays good behavior, you are actually appreciating it for its actions. Treats are offered mostly during the training period of a GS when you need to motivate it to perform well and learn tricks. However, if you do not offer treats to your GS, it will be disappointed and will not have the urge to learn something from you. That’s why every GS owner should consider giving healthy and fresh treats to its dog. It is not necessary that you offer treats every time your GS behaves or follows your commands. You can give a pat on its back or cuddle with it. German Shepherds are very affectionate and would appreciate a physical reward like a hug, etc. too. Giving your dog a treat too often can make it unhealthy, lethargic, and fat. Below are some tips to help GS owners with alternate methods of rewarding their dogs. If your dog loves getting a scratch on its tummy, back, and under the neck, replace the treat with it. If your dog loves to cuddle and snuggle, leave the treat. If your dog loves to play fetch, then play with it instead of offering a food treat. If your dog loves to play with toys, offer that. 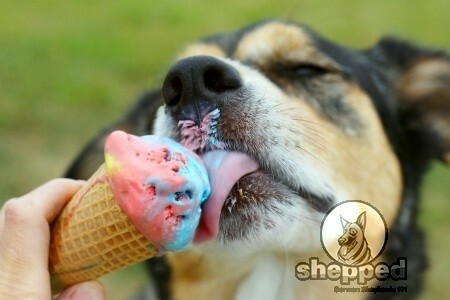 Treat is not food, but it can be anything that is rewarding for your dog or makes it excited. The chemicals present in fruits and vegetables are not always healthy for a GS. Foods like onion and garlic can cause hemolytic anemia in which the red blood cells start to burst. Fatal illnesses and conditions like these can cost you your dog’s life. Other problems associated with fruit and vegetable treats include gastrointestinal infections, vomiting, diarrhea, breathing problems, and much more. If you need to discuss treat options for your GS, feel free to leave a comment. You can also sign-up for our newsletter and stay updated on GS diet plan and much more.